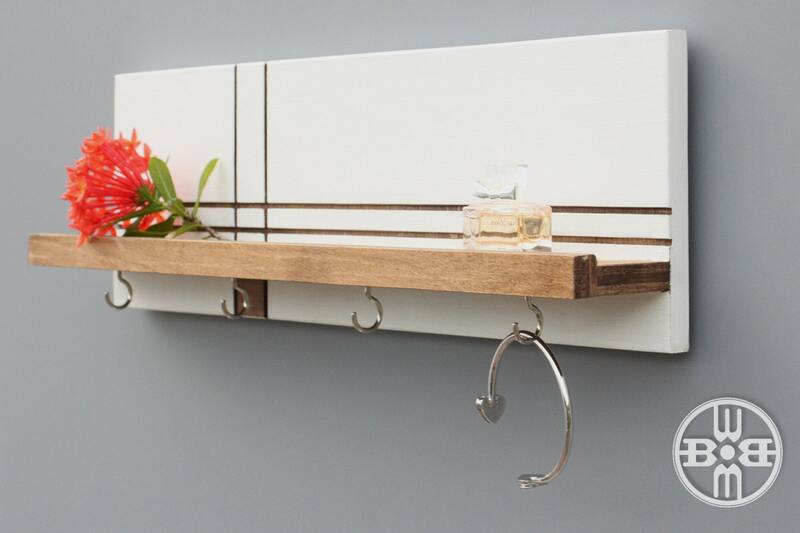 Searching for a stylish way to display or organize your jewelry? Our hand tooled product features as set of cup hooks and a 2-inch deep shelf for displaying jewelry, hanging necklaces or organizing other items necessary to your daily life. 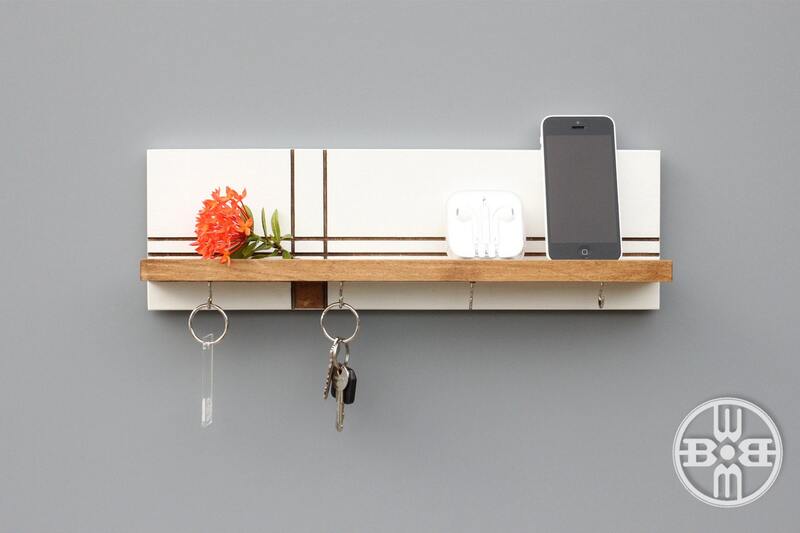 This product will also work great as modern entryway wall storage, a key rack or an accessory organizer for storing/displaying perfumes, fitbits and even small trinkets. 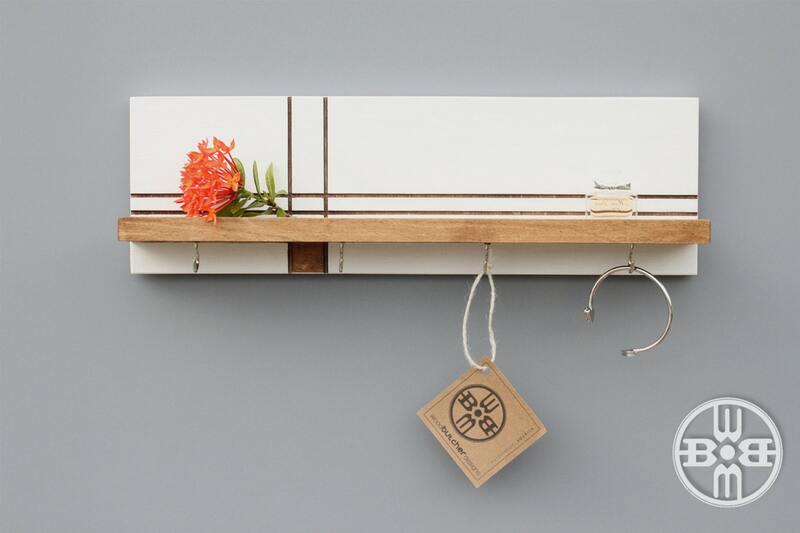 • Color: White-painted body with warm brown-stained striped pattern and shelf, and nickel key hooks. The item is finished with a modern matte clear coat. 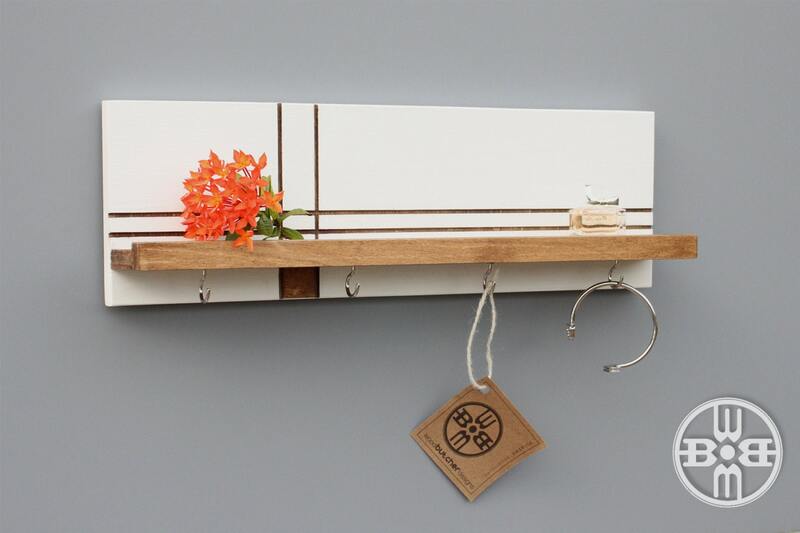 • Number of Hooks: See dropdown box to choose between a set of 4 hooks (pictured here) or a set of 7 hooks. • The product is easy to install and as a courtesy, wall anchors and screws are provided. 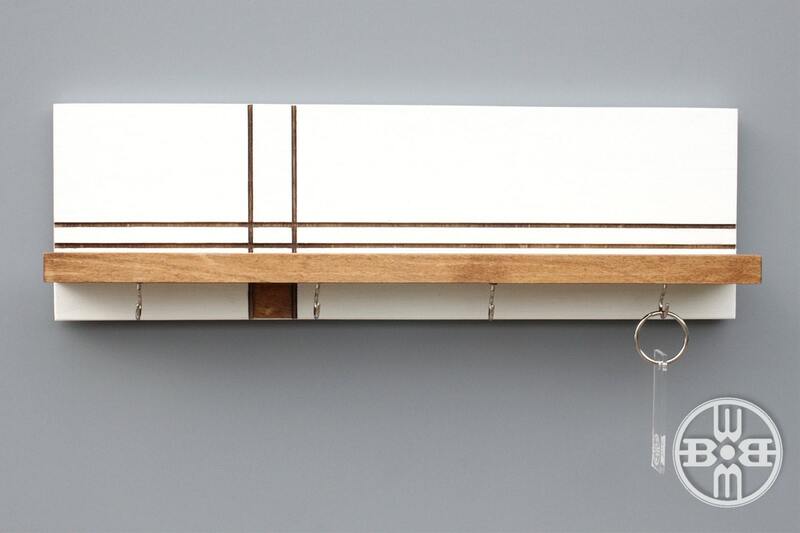 • Made of wood artfully hand tooled in an intersecting pattern of horizontal and vertical lines, our jewelry rack features metal key hooks and a sturdy shelf for added functionality. • Your jewelry rack shelf ships via USPS in 5-7 business days following receipt of payment.